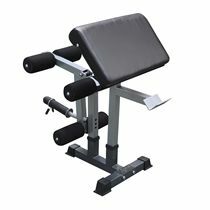 The Heavy Duty Elite bench tops the utility bench range from DKN and is packed with premium features for the discerning fitness enthusiast. This bench is constructed with a heavy-gauge tubular steel frame and is fitted with premium foam padding on its contoured seat and oversized backrest. For optimal comfort and flexibility in finding the perfect exercise position, the seat and backrest are independently adjustable and the popular military, incline, flat and decline positions are available. The fitted foam rollers may be removed and replaced with optional preacher pad or leg developer attachments. Heavier users or those who push higher weights are well catered for with a maximum load capacity of 280kg (617lbs). 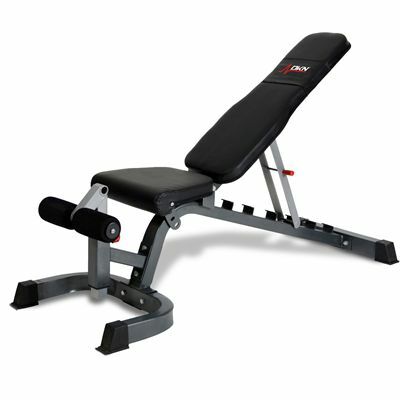 Backrest Adjustability: 5 positions including military, incline, flat and decline. 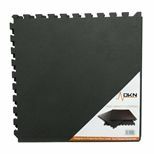 for submitting product information about DKN FID Elite Heavy Duty Utility Bench We aim to answer all questions within 2-3 days. for submitting product information about DKN FID Elite Heavy Duty Utility Bench. We aim to answer all questions within 2-3 days. If you provided your name and email address, we will email you as soon as the answer is published. Is the seat angle adjustable? Yes, the seat is contoured with 4 positions. 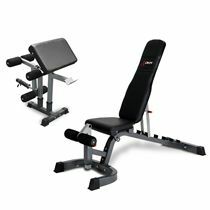 The Backrest is also adjustable with 5 positions including military, incline, flat and decline. How stable is the bench? This bench is constructed with a heavy-gauge tubular steel frame and is fitted with premium foam padding on its contoured seat and oversized backrest. Heavier users or those who push higher weights are well catered for with a maximum load capacity of 280kg (617lbs). I'm 6ft 4. Is this bench suitable for me? The DKN FID Elite Heavy Duty Utility Bench is perfectly suitable for someone who is 6ft 4. Does this bench come fully assembled. This bench does not come fully installed and does require assembly on arrival. A manual with assembly instructions is provided with the product. Good bench. Very stable - wide Base and feels rock solid in use. The seat has 3 positions and the back goes from decline to vertical with enough settings for various inclines. The bench is heavy and so the wheels on the back are useful. The bench will stand upright on the front feet and rollers for storage which is a bonus. The seat covers seem well enough made. So far I'm really happy with this bench - a good buy for the price - I'd definitely recommend it. Good solid quality product only negative is can't put in up right position without un bolting back rest arm. 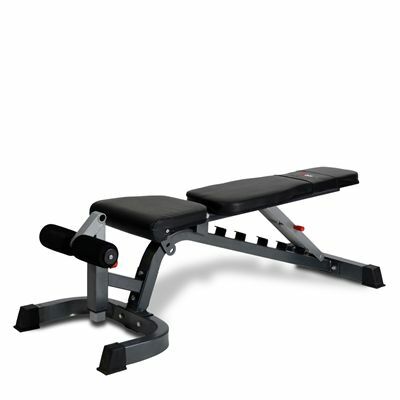 This bench represents great value for money and while not at the same level as a commercial bench you'd find in a gym, it is definitely one of the most robust and comfortable benches I've used. Assembly was straightforward and the upholstery is comfortable and finished to a high standard. The transportation wheels are a great idea and I found them really handy. Good piece of equipment, cant fault it at all. I wanted something heavy duty and this bench and attachment is a lot cheaper than the commercial equipment. Has a slight wobble on attachment but I would recommend it, very easy to assemble. 5 stars for sure. I am happy with the bench , and would go as far as to recommend it to others. Its a good robust bench, easy to assemble, not overly fancy. I would recommend it to others who are interested in weight lifting, safety is important. Better quality and value for money than than my previous bench which was a bit flimsy. 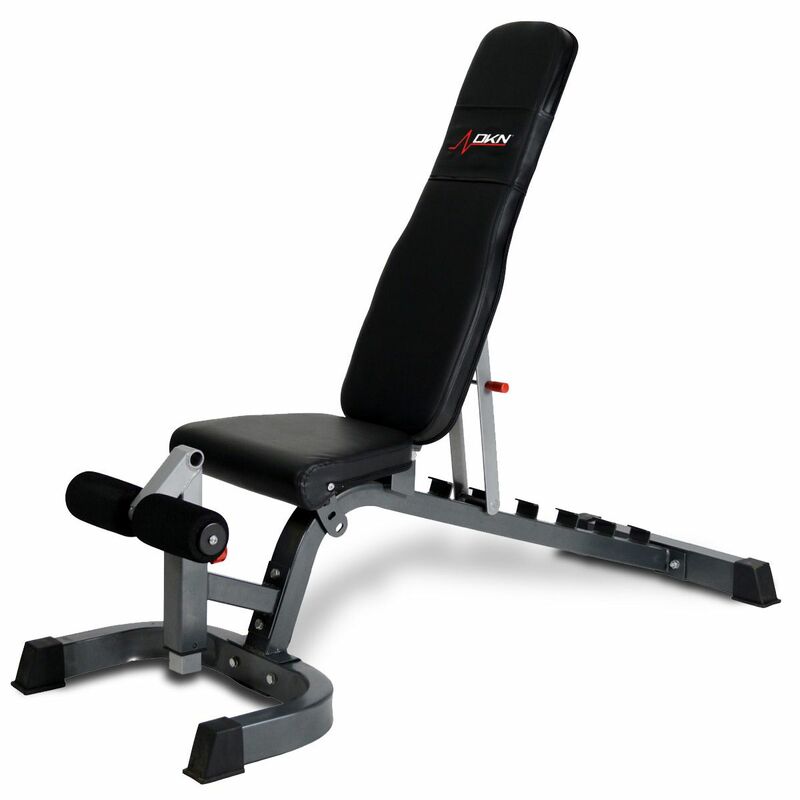 for submitting product review about DKN FID Elite Heavy Duty Utility Bench.